When I first got my Synology DS1815+ to replace my existing file server that was using Windows Storage Spaces on Windows 10, I was excited to continue using CrashPlan to backup my family’s computers. Unfortunately, I soon found out that while the Synology can run CrashPlan after reading the tutorial from PCLoadLetter, it was not anything like I was used to for administration. Using CrashPlan installed on the Synology required modifying configuration files on all of the computers that I wanted to backup, instead of simply logging into my CrashPlan account as I had done before. So, I promptly gave up and used Synology’s Cloud Station Backup for 6 months. Cloud Station Backup worked well, but I always got the feeling that CrashPlan had always worked better, especially when handling deleted files. Therefore, I endeavored on a way to use CrashPlan to backup to my Synology in a different way. I tried all the tricks you might find when Googling for “CrashPlan backup to network drive”, or similar. Unfortunately, CrashPlan was smart enough to not allow backing up to network drives using any of those techniques. 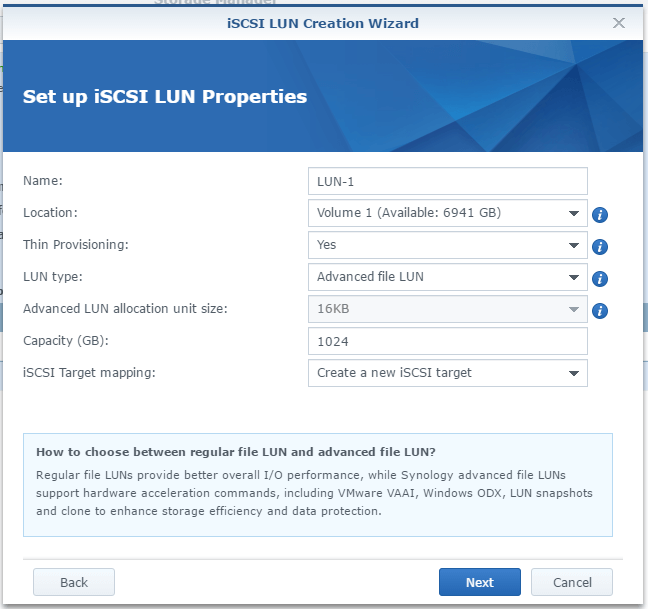 Feeling a bit adventurous, I looked into iSCSI as a solution and found my answers. Choose how large you want the LUN to be. Make sure this is quite large because you cannot change it later and because of thin provisioning you’re not giving up all the space you setup here. 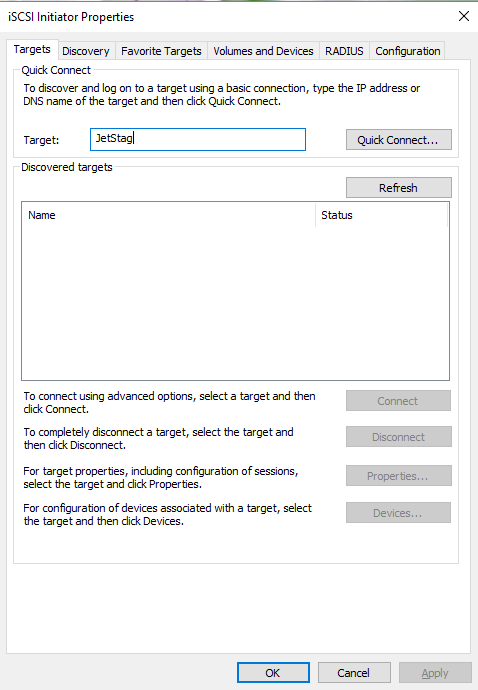 Your NAS iSCSI target should now appear under the “Discovered targets” part of the “Targets” tab. Remember when we set the CrashPlan service only to run manually? Now we will fix that. 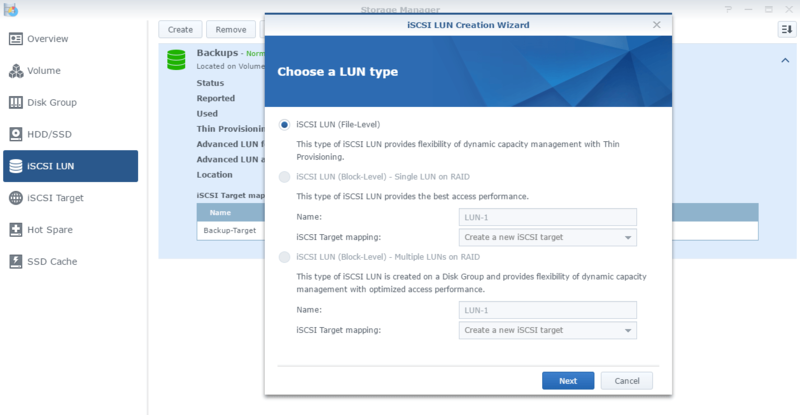 Because the iSCSI can take some time to mount after a reboot the CrashPlan backup service needs to start after the LUN has had time to connect. We will achieve this using the Windows Task Scheduler. rem for 1 minute delay..
net start "CrashPlan Backup Service"
That is certainly a fine option. Thanks for the comment!